Looking to buy a baby tortoise for sale online? We’ve got the widest selection of captive bred baby tortoises for sale anywhere! 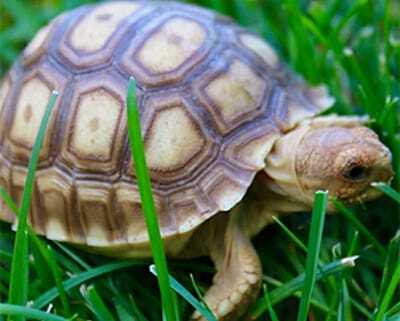 We have a spectacular selection of captive bred baby tortoise for sale. If you are looking to buy captive bred, hand raised adults, juvenile or baby tortoises for sale you have come to the right place! As tortoise breeders, we are proud to have the largest selection of healthy, active and ready to ship captive bred baby tortoise for sale online. Secondly, we offer well-started baby tortoises on sale and yearling tortoises for sale. Mostr importantly, we strive to be the best tortoise farm and tortoise breeders in the USA. In addition, we have a real biologist on site 7 days a week to provide top-notch care and nutrition as well as to answer any questions our customers may have about any of our 24+ species of captive-bred tortoise hatchlings for sale. We also offer greek tortoises as small to medium options, however, Hermann’s tortoises by nature are much friendlier than greeks from our years of experience. When considering purchasing any tortoise or turtles for sale, please make sure they are captive bred! All of our tortoise and turtles for sale ship via FedEx or UPS overnight. Lastly, our turtles for sale anda tortoises for sale arrive the following morning by 10 AM. With a Biologist ON SITE, we are able to ship year round in all conditions using heated or cooled insulated shipping containers and provide a full live arrival and 7-day health guarantee on ALL live animals purchased from tortoise town! Because when you are in need of care tips, or tortoise care sheets please visit our tortoise care section. Also, our tortoise care section has a ton of great free information regarding the proper care of your new tortoise or turtle for sale. If you are looking for aquatic turtles for sale, consider our slider turtles for sale, mud turtles, map turtles, river cooters or pink bellied side-necked turtles for sale. Our sister website offers a wide selection of other reptiles for sale including geckos for sale, panther chameleon, veiled chameleon, various species of turtles for sale and much more. 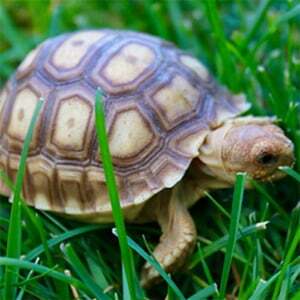 Searching for the perfect African Sulcata tortoise to add to your family? First of all, some of our most popular captive bred tortoises include: Sulcata tortoise for sale, captive bred Russian tortoise, red foot tortoise, Hermann’s tortoise, leopard tortoises, and Indian star tortoises. Most noteworthy, if you’re looking for an extremely large tortoise, choose the Sulcata (African spur-thighed tortoise). Alternatively, look at the baby giant leopard tortoise, known as the Giant South African Leopard tortoise. Secondly, the next size down would be the more common Pardalis Babcocki leopard tortoise. If you’re looking for a medium tortoise, we would recommend considering the Red Foot Tortoise, Cherry Head Red Foot Tortoise, or Yellow Footed Tortoises. Looking for a very small pet tortoise? Lastly, consider the beautiful captive bred baby Russian tortoise as well as our eastern and western Hermann’s tortoise. Most importantly, tortoise town has a full selection of 100% captive bred, hand raised tortoise babies for sale as well as juvenile, and adult tortoises. Remember, when searching for any tortoises for sale, including a new baby tortoise for sale, tortoise town is your source for the best tortoise for sale , baby tortoises for sale , baby turtles for sale, and adult turtles for sale of any turtle store anywhere including a huge aquatic turtles for sale section. If you are interested in tortoise care, please visit our care section. Other species of tortoise for sale offered here include giant tortoises like the Aldabra tortoise, Sulcata tortoise, Burmese mountain tortoise and more. Medium size species include the leopard tortoise, red-footed tortoise, yellow foot tortoise, mountain tortoise, Burmese star tortoise and the giant leopard tortoise. Small tortoise for sale includes Hermann’s tortoise, Greek Tortoise, Indian Star tortoise, Pancake Tortoise, Russian tortoise and the Egyptian tortoise. Above all, we’ve got the widest selection of tortoise for sale in the USA, including baby tortoise, juveniles and adult tortoises for sale.